Imagine soaking in the sun at a luxury resort off the Great Barrier Reef, or perhaps the Bahamas, Hawaii or the Mediterranean. And while your sipping on your exotic cocktail, you smile as you check the latest report on your smartphone. Your overnight sales will cover your little jaunt in paradise. Surely this is a dream. The truth is that today, anyone can set a system that will automate their entire sales process from finding prospects, nurturing leads and converting them to happy customers. And using video marketing is the most effective tactic. There are just 16 ‘P’s to get your fully automated video marketing system up and running and delivering the results that you have only dreamed about. If you are going to all the trouble of starting your own business and taking on all the associated risks, then you might as well find something that your passionate about. Passion is the soul of your business. Every successful business person or entrepreneur uses their passion to connect with their customers and drive their success. Whilst Passion is a necessary ingredient, you will have nothing to sell unless you are Proficient in some way regarding your Passion. Your proficiency in subject knowledge, skill, experience and insight is what separates you, the seller, from them, the buyers. You both share the passion but you also have something that they do not know. The other third of the business equation is that your passion or niche must be profitable. For example, you may be passionate about sandcastles and you may be proficient in building them but unless there is a market for your services, it will always be a hobby, not a business. The easiest way to find out is to search for other suppliers for your niche. If there are already thriving businesses then you know there is a market there and all you need to do is to create a better or more effective alternative. Once you have the first three ingredients together, it’s time to build an audience that share in your passion. This is an opportunity to develop a relationship where they trust you as an authority. Discovering your potential prospects’ problem is the most crucial part to developing a successful business. By knowing how to help them solve their problem, you will be able to tailor your solution to their needs and wants. The internet is littered with disserted training programs and membership sites which were built on a hunch rather than on actual facts. It is only now that you start developing your product that will solve your audience’s problem. It could be an ebook, software or an app, or it could a be a video training program. Your product will be digital and waiting for your customer. You should always base your price not on the cost to you, but on the value you give to your customer. For example giving someone business advice doesn’t cost you anything but can help your client to significantly increase their revenue. The other strategy to consider is a multiple price offer. This consists of a low price providing the very basic form of your product, a medium price with a few upgrades and a higher price for the deluxe product. This caters nicely for the two types of buyers – the bargain hunter and the VIP elitist who only wants the best. The majority will settle for the middle price. Ok, now is time to make the promo video. This is where we qualify our audience by focusing on their problem and how you will provide the solution. See Piece. In order for someone to purchase your product, you need to gain their trust. You Promotion video will offer a FREE video that will help solve their problem. But it is only a piece of the solution. You will give them very valuable content that they can use to whet their appetite. It’s much like those food samples they give out in supermarkets – try it and buy it if you like it. But make sure it’s the best content that you have because they will judge your product based on that. Now that you have your promotion video offering a valuable piece of your content, you need to place it where your target audience is. That may mean promoting it using Facebook ads, YouTube, Twitter, Linkedin or Pinterest. Wherever your audience is, so must your promo video. After your audience watches your promotion video offering you free piece of content, you need to send them to a page where they can optin their contact details. 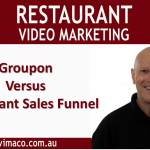 You may choose to have a video on this landing page to help increase the conversion rate but a good offer to the right audience will be the best way to maximise the number of optins. Once you have their email address, you will Present them their “present” or free offer. Again this is a fully automated process using your email provider’s autoresponse. At some stage during your free Piece of content, you will need to make your Pitch. This entails in letting your audience know that if they like the sample Piece, they can purchase the full product. How do you Persuade your audience to buy your product. Well you need to focus on them, not you and the benefits of your product rather than its features. Adding bonuses, testimonials, guarantees and time scarcity will help to persuade your viewers to take the next action. Tell your audience what to do next – click the buy button. Use an automated cart system to complete the transaction. The final ‘P’ of the puzzle is to automatically Provide the secure link to the product. And there you have it. A fully automated system that will find you leads, build trust and persuade them to buy your product. You do the work upfront and enjoy the benefits there after.